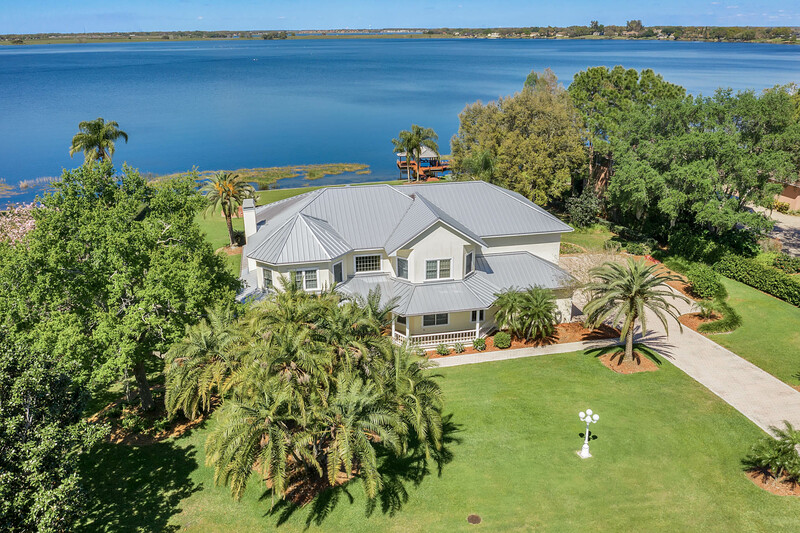 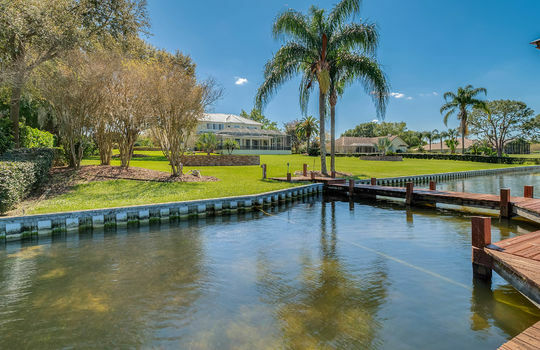 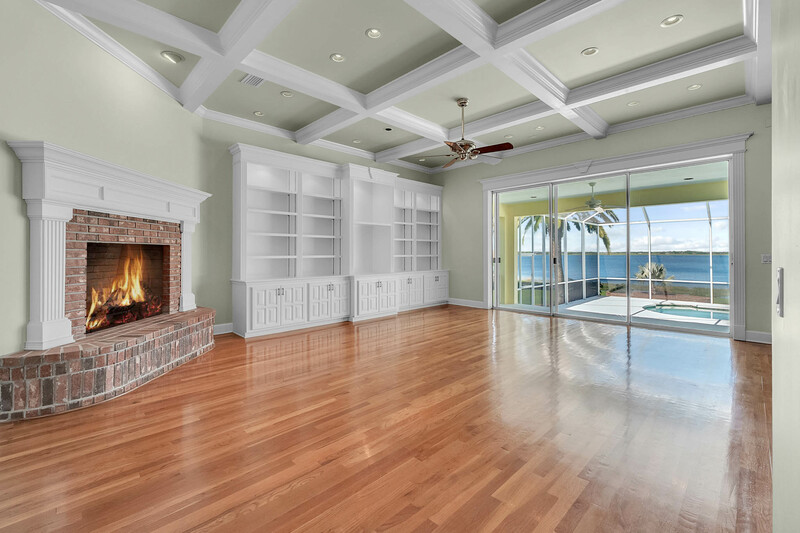 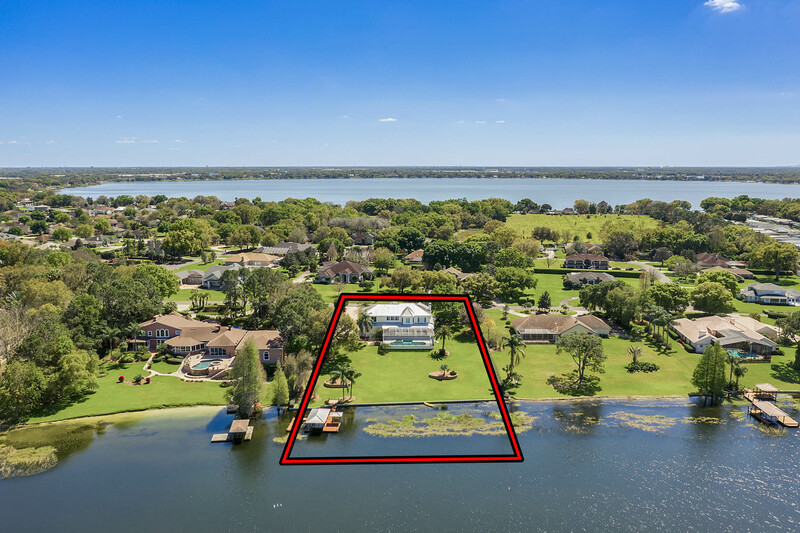 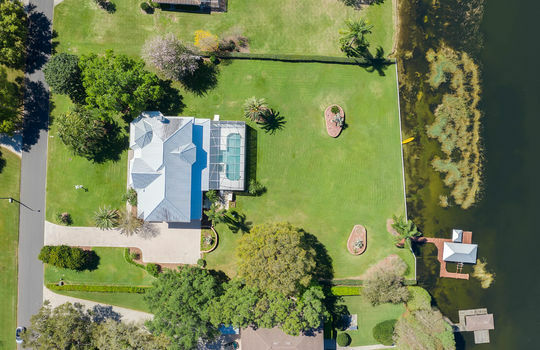 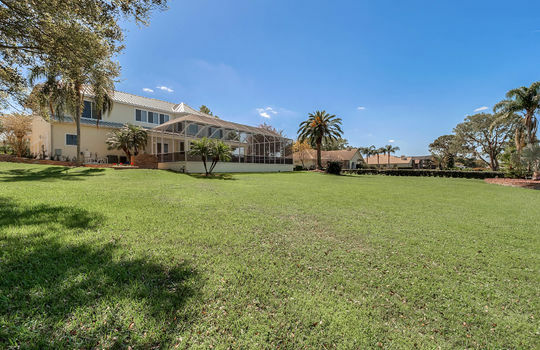 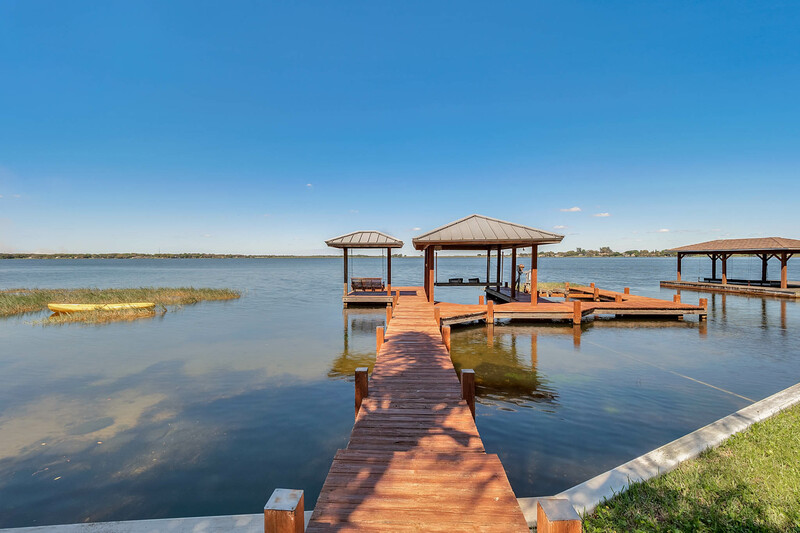 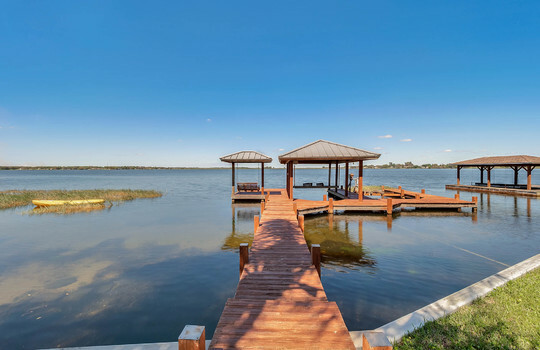 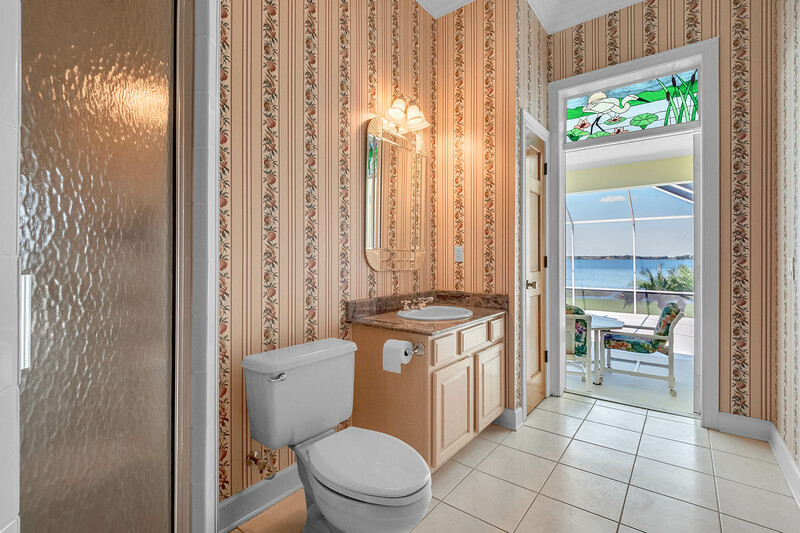 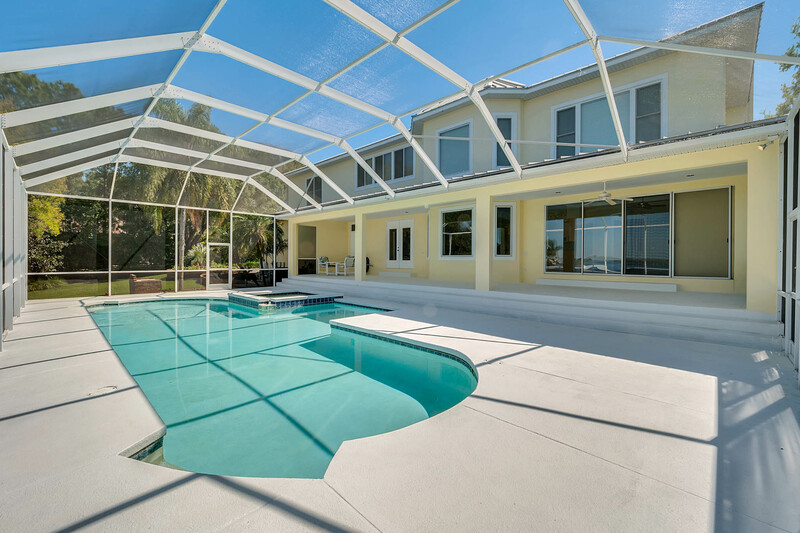 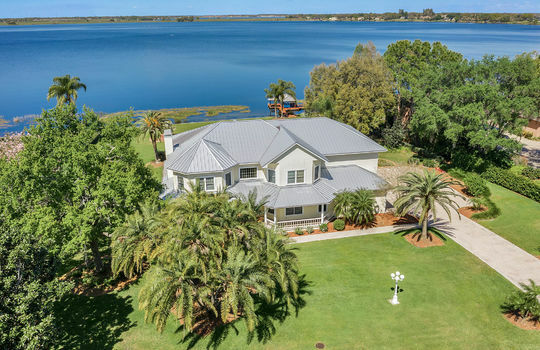 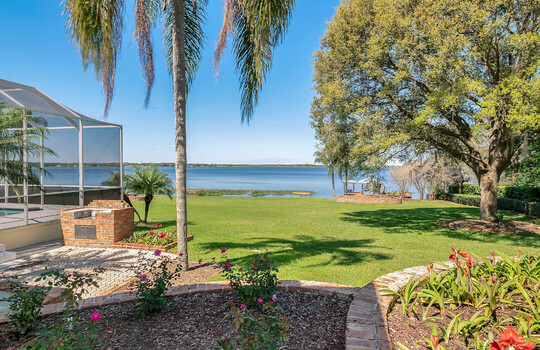 Timeless Central Florida lakefront estate home on the shores of pristine Lake Arietta. 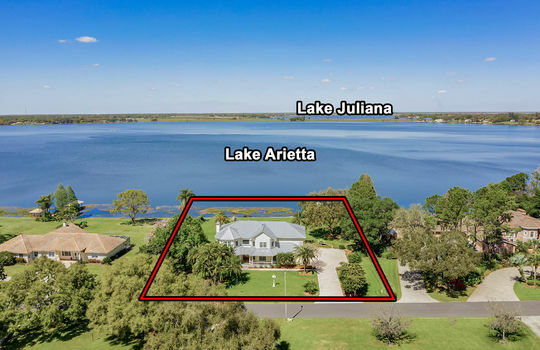 Welcome to 131 Van Fleet Court in the quaint city of Auburndale where you will discover this traditional 5 bedroom 3 bath residence quietly nestled on a large 1.31 acre lakefront lot behind the gates of exclusive Van Fleet Estates. 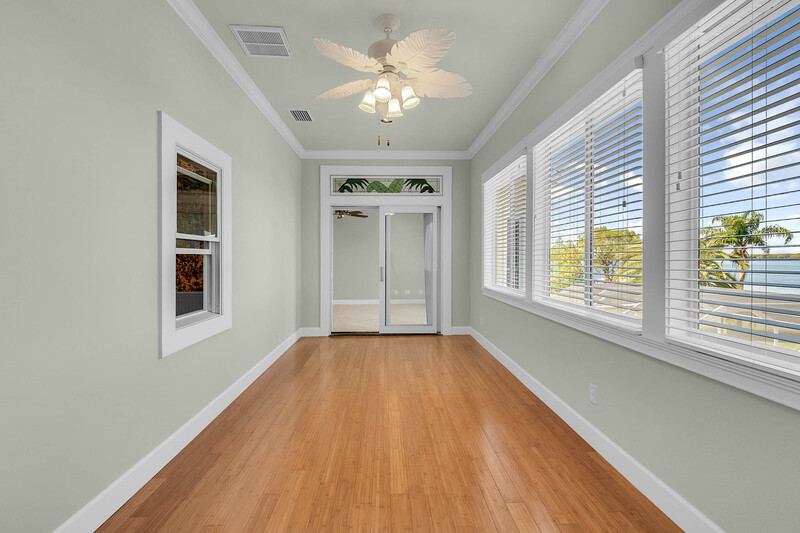 Front elevation is reminiscent of days gone by with it's nostalgic front porch, white wood railing and turned banisters, ready for rocking chairs and a lazy front porch swing. 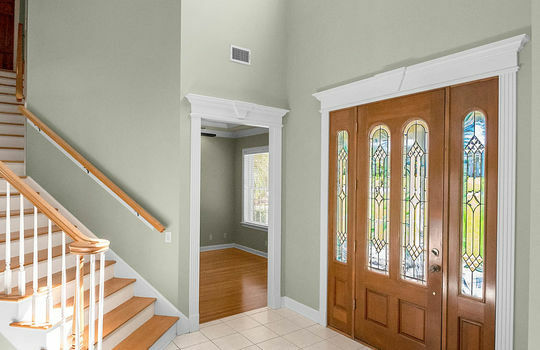 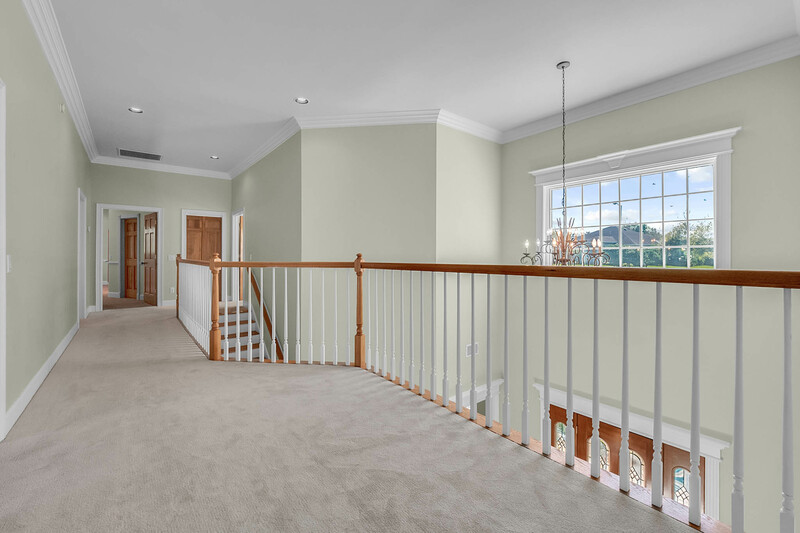 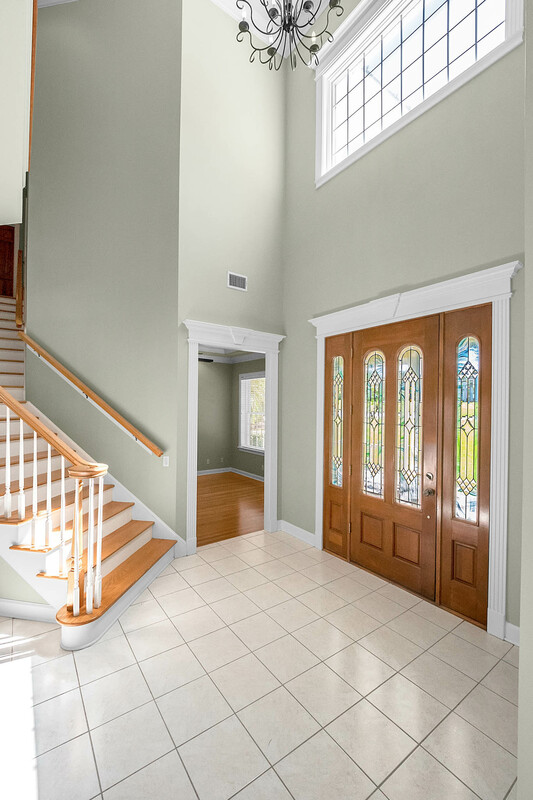 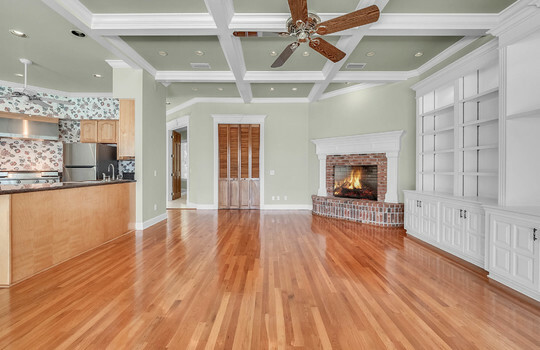 Making your way inside this classic home reveals a grand foyer with soaring two story ceiling, brilliant natural lighting and quality craftsmanship that can be found throughout. 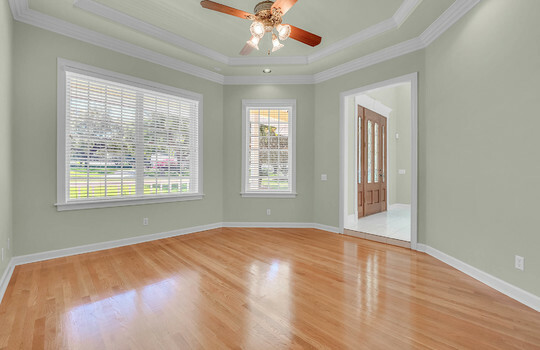  Main floor consists of elegant and spacious formal living and dining spaces, office/gym/guest bedroom and a family room with absolutely breathtaking lake views, hardwood floors, handcrafted coffered ceilings, built-in shelving and a brick fireplace. 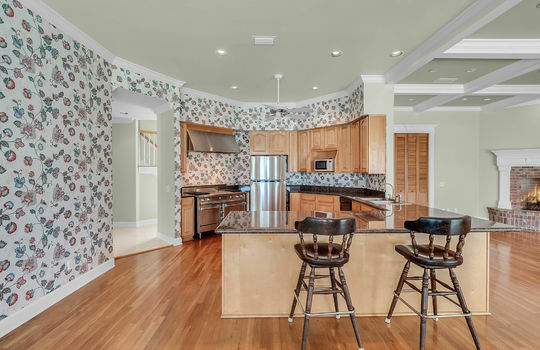 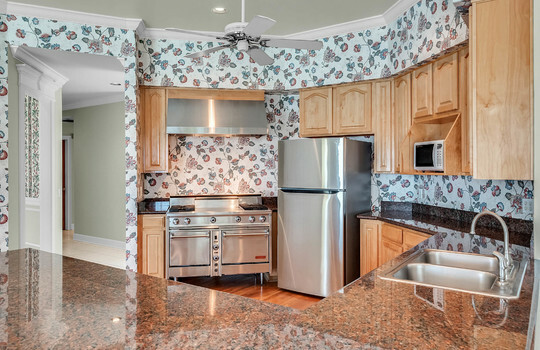 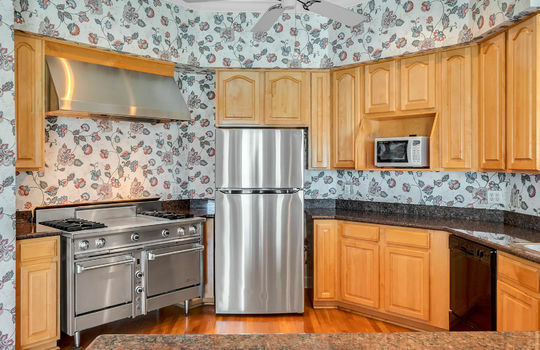 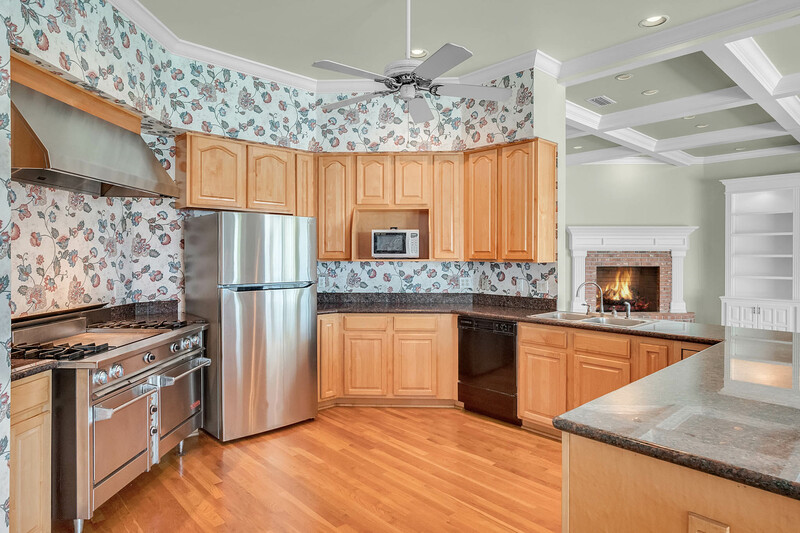 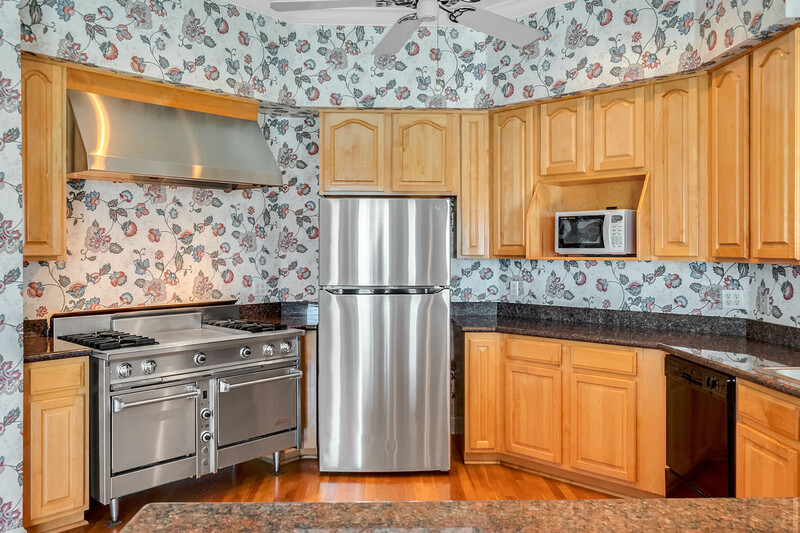 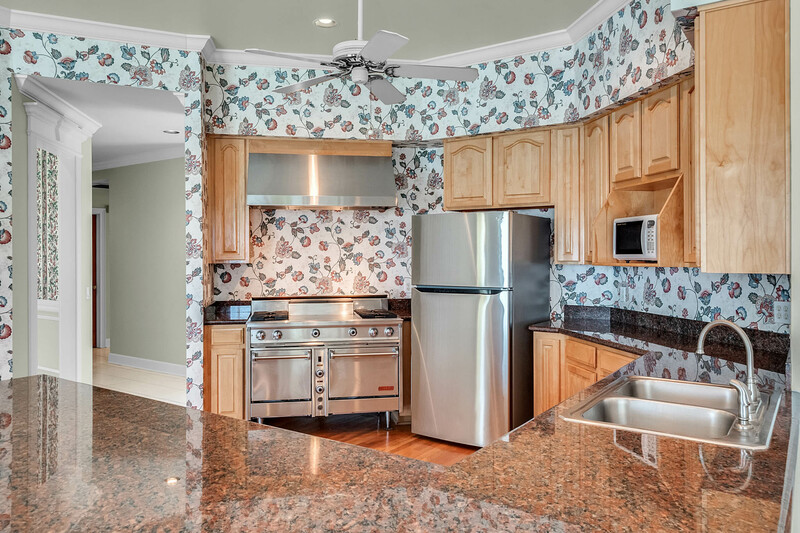 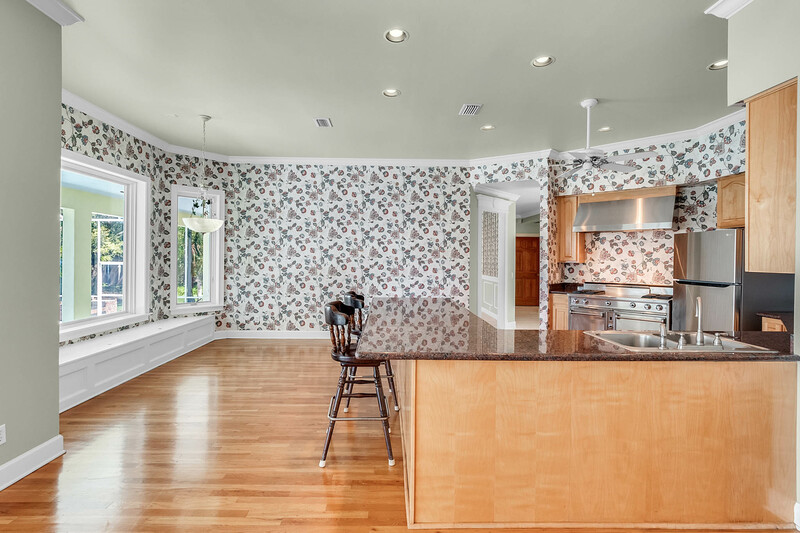 Chef's kitchen is outfitted with commercial grade gas range, granite counter tops and a breakfast nook with bay window looking lakeside. 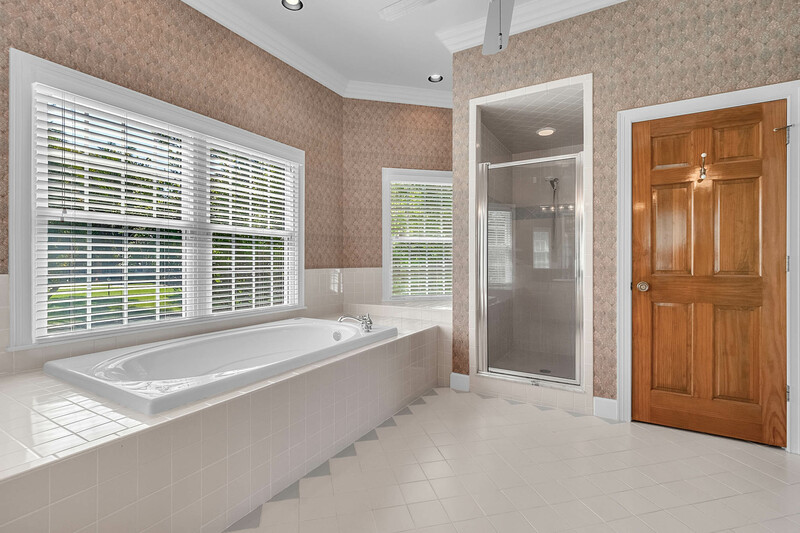 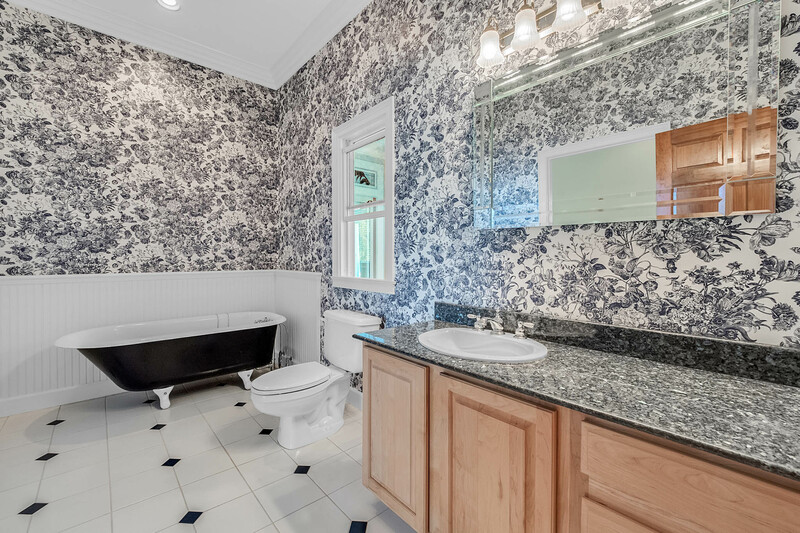 Downstairs is also home to a guest/pool bath with granite, walk-in shower and large inside laundry room. 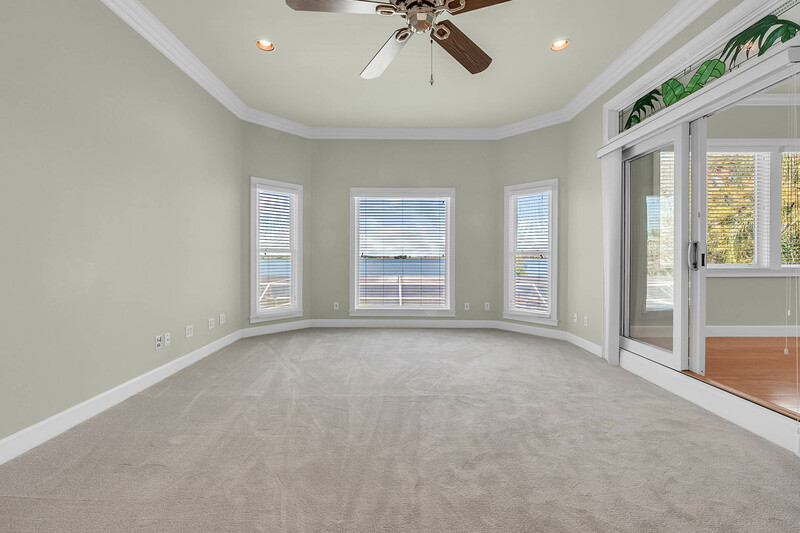 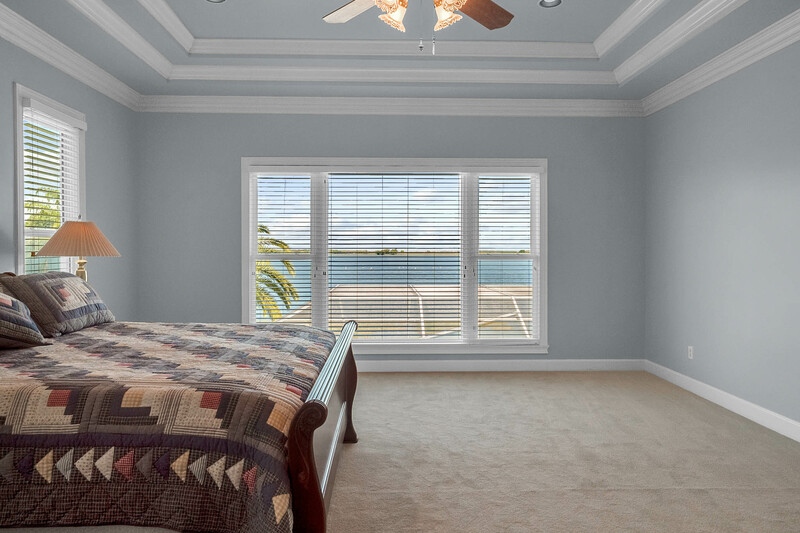 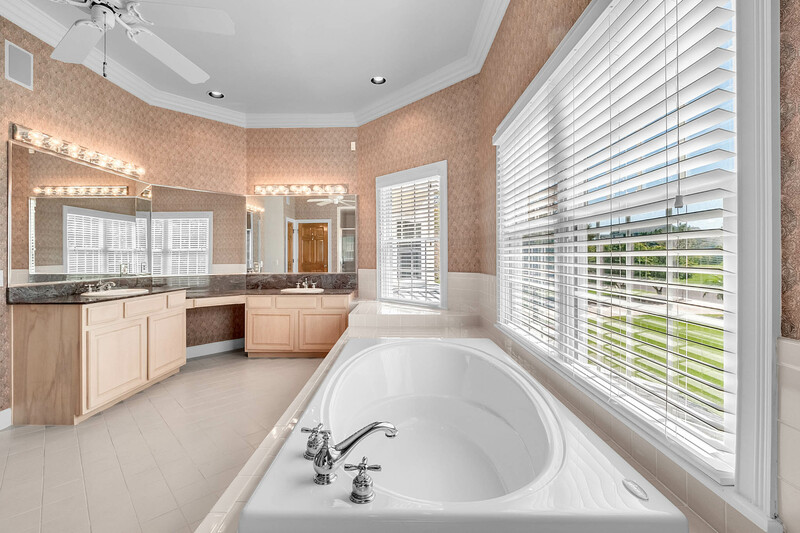 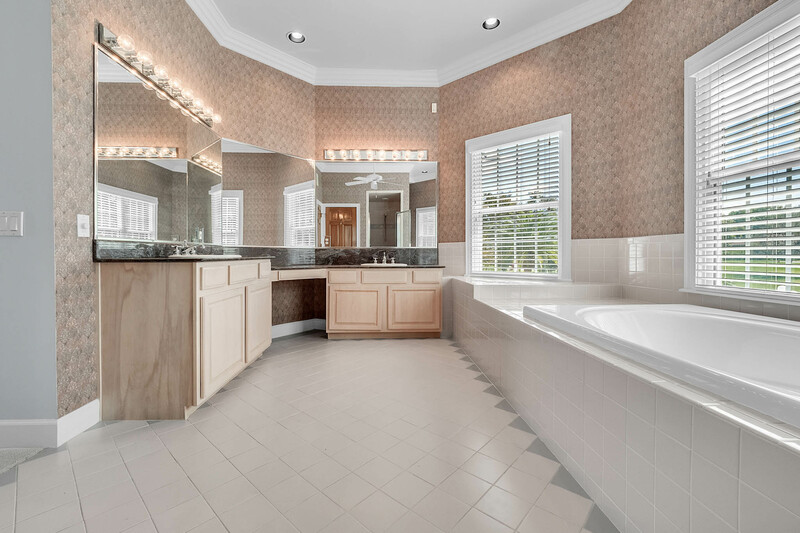 Upstairs you will find a huge second floor master suite that overlooks the gorgeous landscaped grounds and stunning lakefront setting while enjoying two walk-in closets with organizers, large granite vanity with two sinks, soaking tub and an oversized walk-in shower. 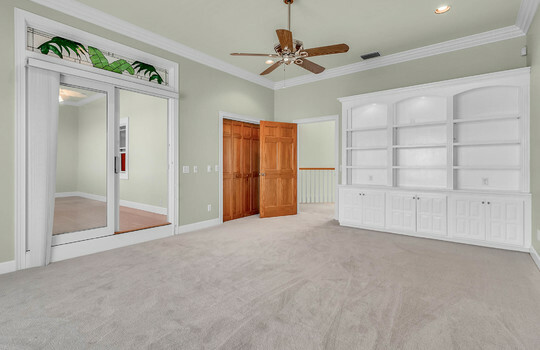 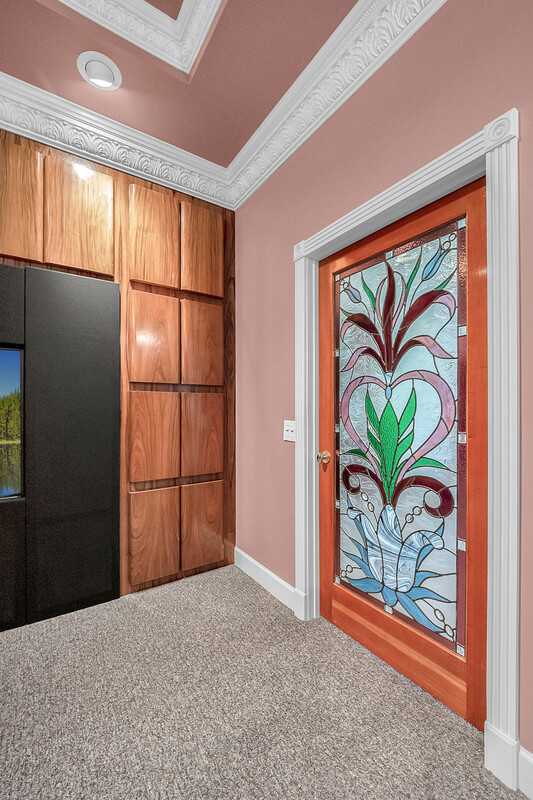 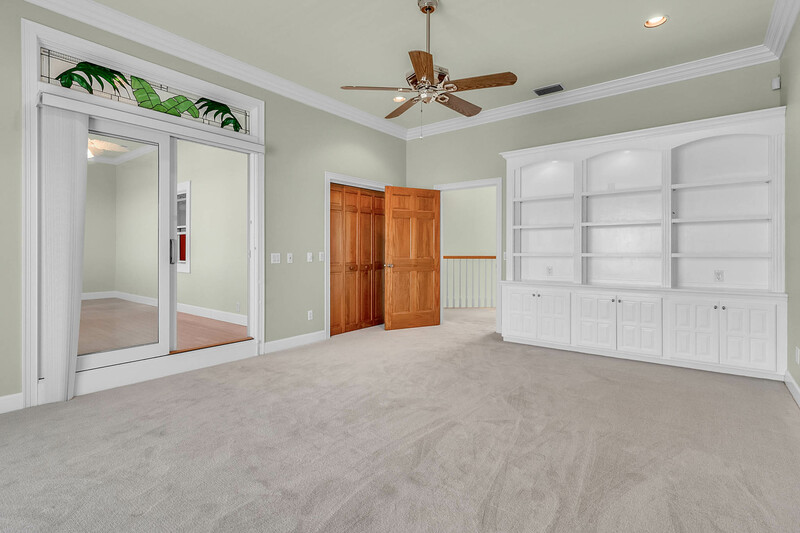 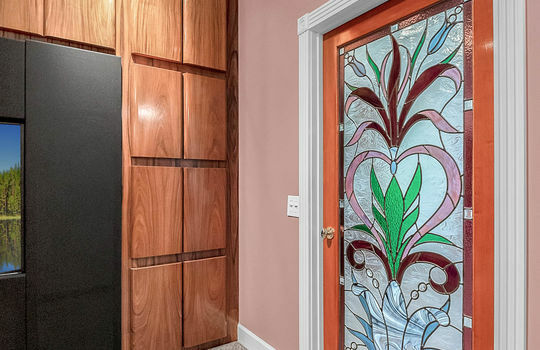 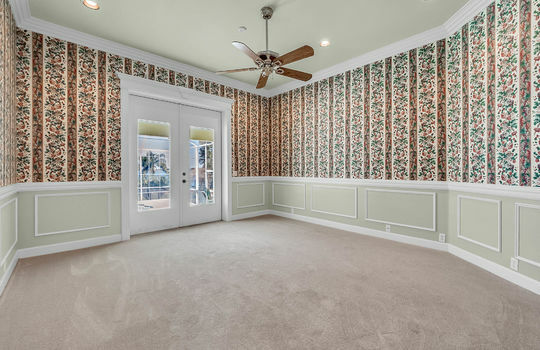 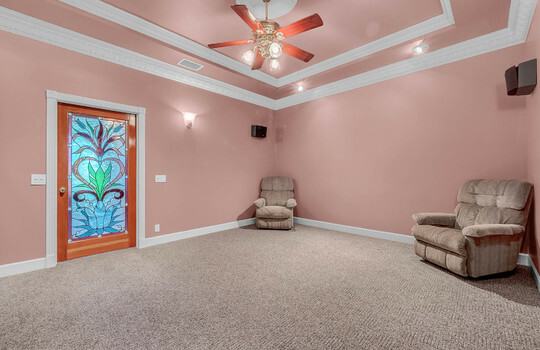 Also located upstairs are two additional guest bedrooms and a bonus room with kitchenette that is currently used as a game room, but could be a 5th bedroom or in-law suite. 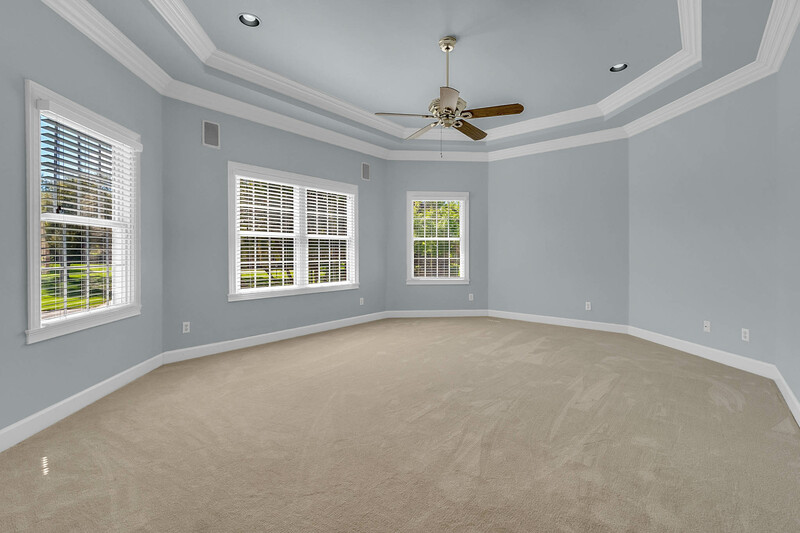 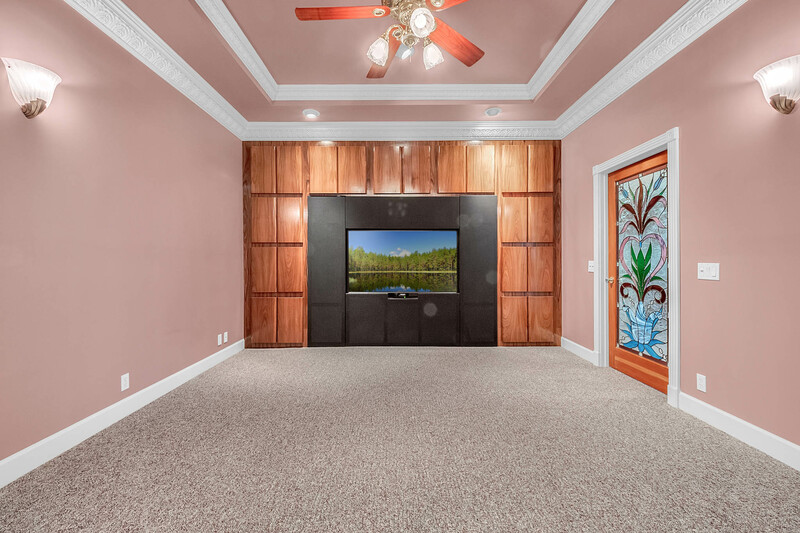 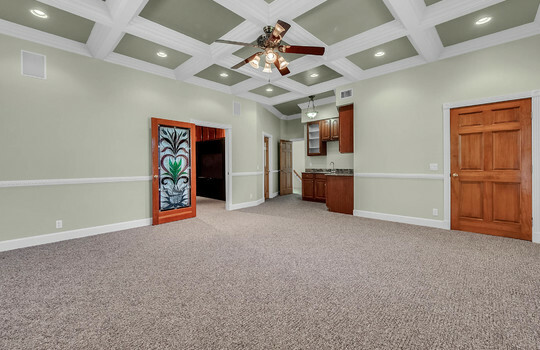 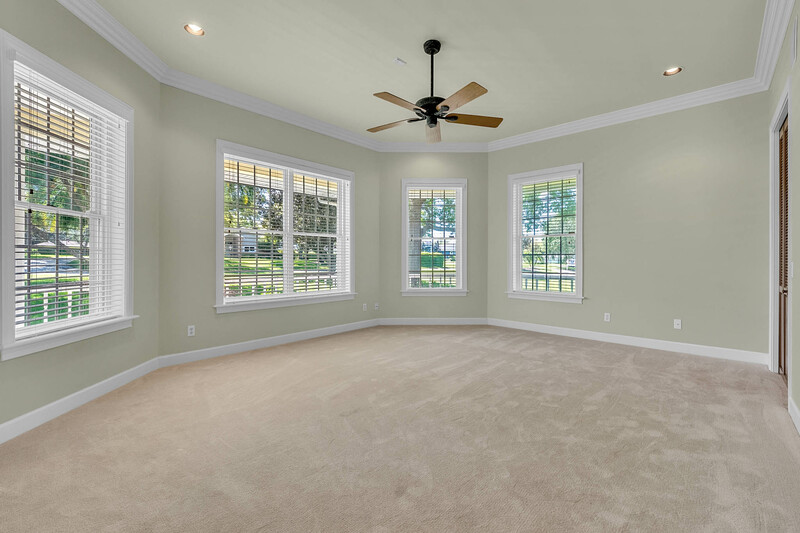 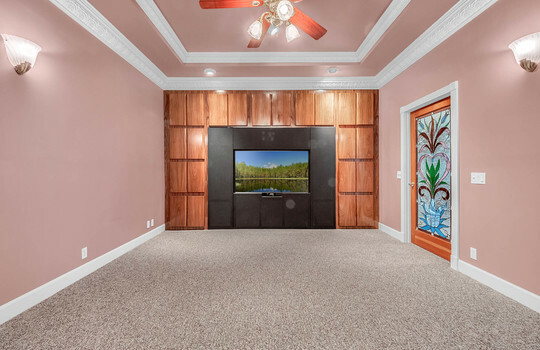 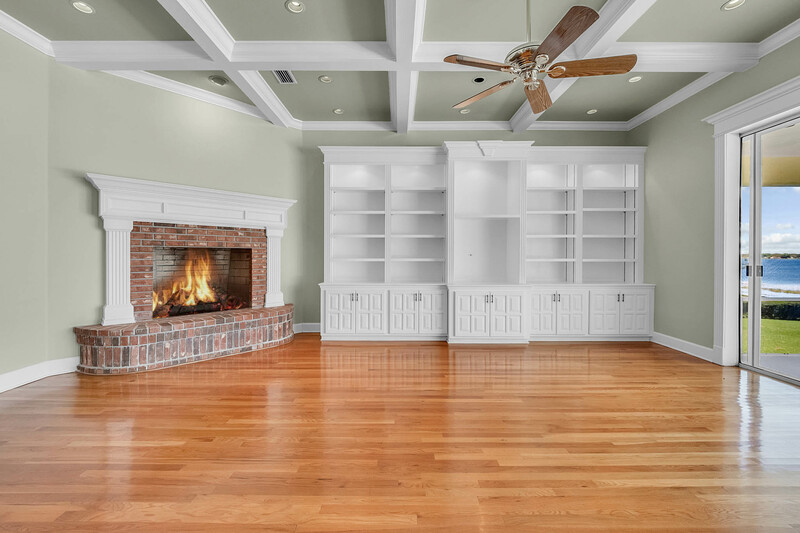 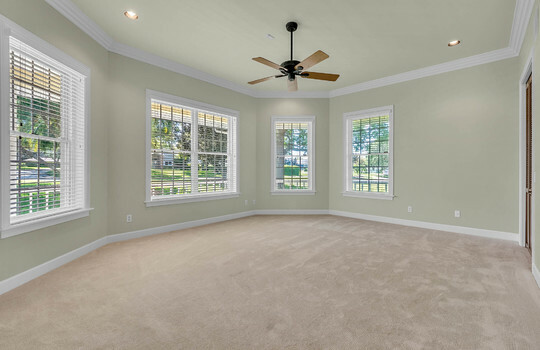 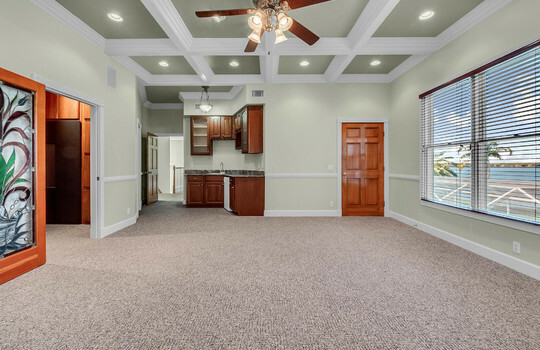 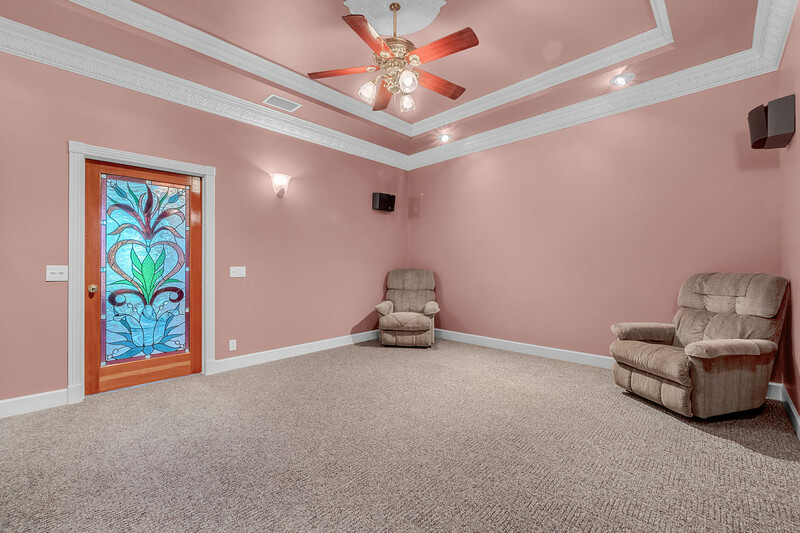 Theater room just off the bonus room will keep family and friends entertained for hours. 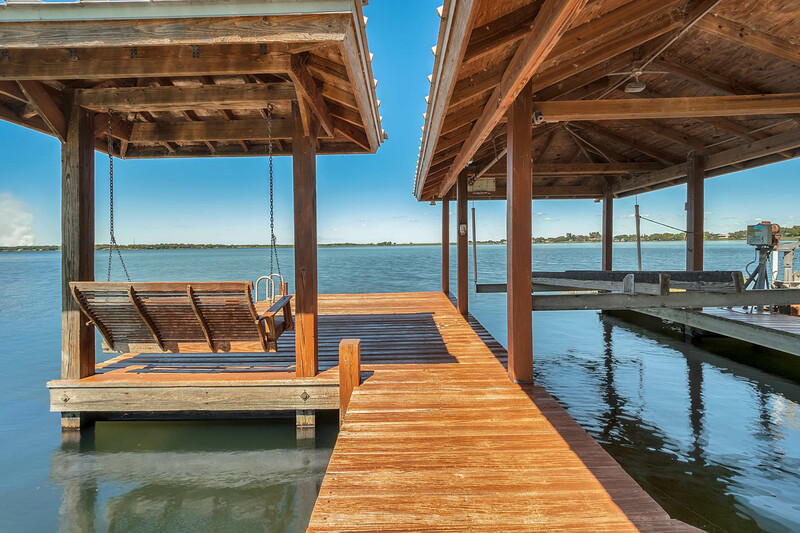 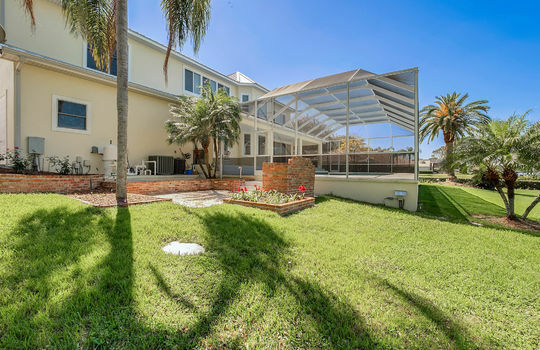 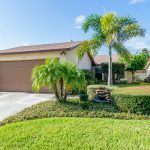 Wandering outside you will find an impressive pool area with 40' long pool with spa, extended covered lanai and 200' of gorgeous lake frontage with seawall, dock and covered boat lift. Lake Arietta is 749 acres of crystal clear water and white sand bottom and is known for excellent fishing, skiing and boating. 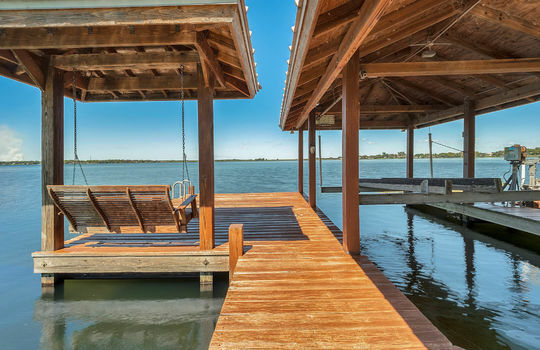 For added appeal, the lake is also seaplane accessible. Oversized 41x23 garage with 3 large parking spaces, workshop for lawn/ski/fishing equipment, storage room and at pet washing area. 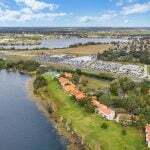 Tired of living in the traffic and congestion of Orlando or Tampa? 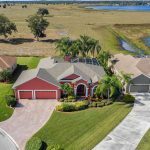 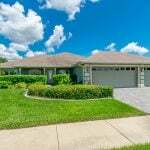 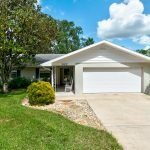 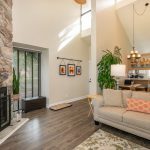 This home is only a few minutes to Interstate 4 making it perfect for commuters who desire a more relaxed and quiet home life. 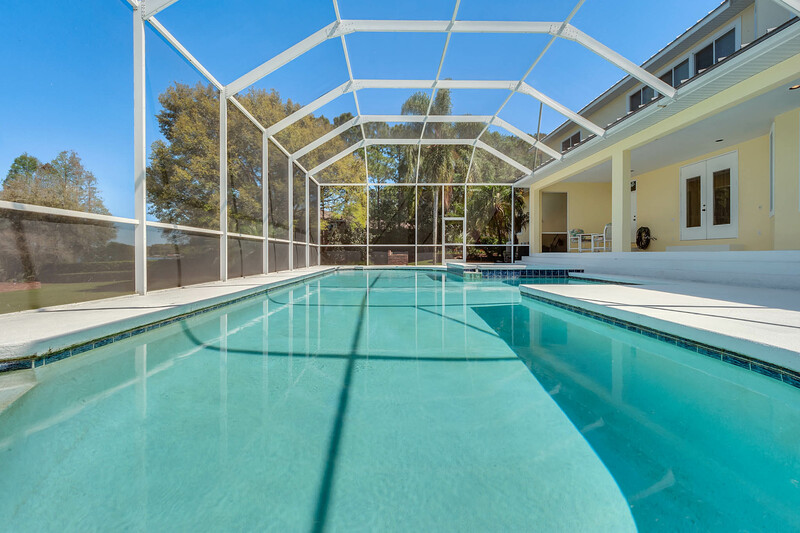 You are close to Disney, international airports and only 1.5 hours from east and west coast beaches. Leave the big cities behind and relax in lakefront splendor while still being close to everything!